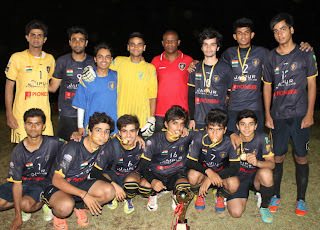 Rajasthan defeated Uttar Pradesh West 2-0 in the final of the 2nd National Mini Football Championship 2013 for U19 Boys Category to lift the trophy. In the first half assist given by Virendra Pratap led to a awesome Goal conversion by Abhishek Meena in the 12th Minute and in the 18th Minute of the game, a header on a corner kick by Virendra Pratap Singh could not be stopped by the UP Goal keeper. With this the score was intact till the end and Rajasthasthan lifted the Trophy. In the U19 Category for Girls the Final was won by West Bengal over Bihar by 3-0. The girls played the best Jaipur crowd has seen for years. 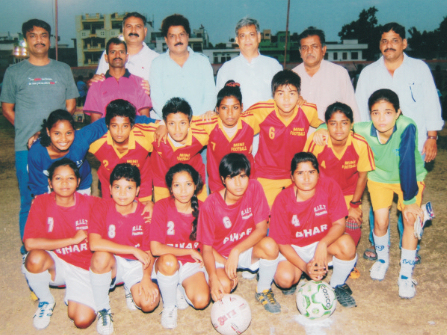 The competitions final was played at Chougan Stadium Ground in Jaipur. Jaipur saw some good football after a long time as players from across the country came to partipate in the Competition. Total 24 Teams in the Boys category and 16 teams in the Girls Category from India participated in the tournament, UP, MP, West Bengal, Bihar, Karnataka, Maharashtra, Haryana, Delhi etc. The Mini Football Competition will also act as a critical stepping-stone for these young footballers with finalist set to be shortlisted by the All India Mini Football Federation technical committee for the India Under-19 squad and play in Nepal this year representing India.